I have chosen the ipad 2 because its 33% percent slimmer than the original ipad 1 and it’s got a camera and face time with both cameras it’s got the new apple os4 that is also on the iphone 4 they have promised that this ipad will change the way people think about tablet PC. Apple iPad 2 Wi-Fi and 3G 32GB - White. 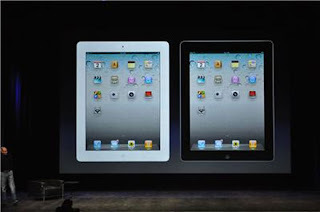 iPad 2 is thinner, lighter and faster, yet it has the same 10 hour battery life. With two cameras, you can make FaceTime video calls and record HD movies. Apple A5 chip with two powerful cores and faster graphics. •Up to 10 hours battery life (depending on usage).